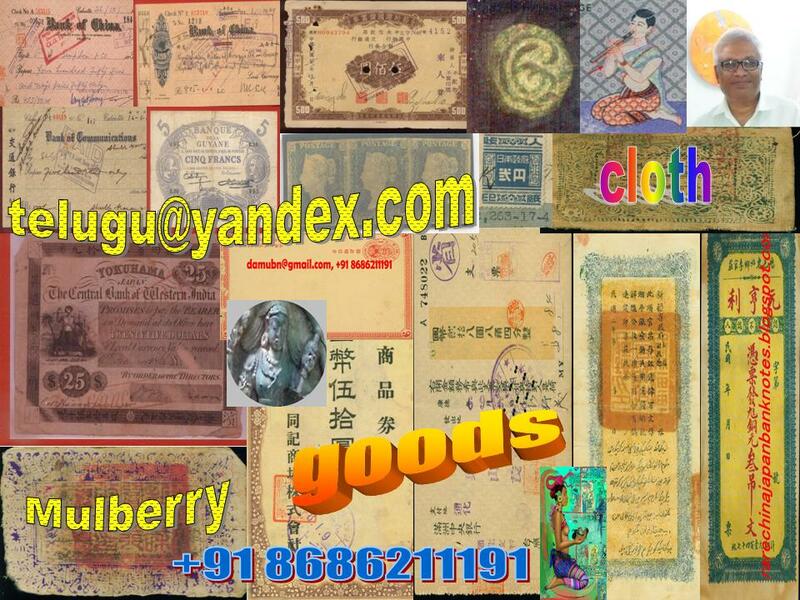 Thanks for looking by site ,Hope you like my site ,please leave your comments in message box or to my email TELUGU@YANDEX,COM in Japanese,Chinese or English ok .
Give your opinion what you liked more what you want to know more about. HOPE TO GET ALL COOPERATION FROM ALL COLLECTORS. The Central Bank of Western India was an important bank because it related to Japan, America and India. The high value of $25 was significant as it was issued during a time of great turbulence in Japan,USA,and world.